If you’re ready to follow the yellow brick road, we’ve got 4 Wizard of Oz tickets to give away! This awesome show will be at Walton Arts Center and there will be seven performances running from Tuesday, April 1- Sunday, April 6. 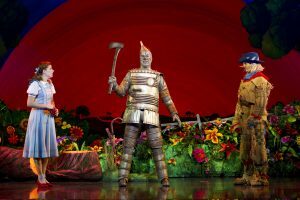 ABOUT THE SHOW: Generations of families are familiar with the cherished MGM classic, The Wizard of Oz, and now, audiences can see it live on stage. Sir Andrew Lloyd Weber reimagines the beloved film, but enhances it with computer-generated imagery and a few songs from iconic characters who had nothing but dialogue in the film. The show features all the beloved songs from the Oscar-winning movie, as well as a few new numbers by Tim Rice and Andrew Lloyd Webber. The North American tour of Wizard of Oz originated in Canada and has traveled from coast to coast. When the show makes a stop at Walton Arts Center, one of its principal cast members will be coming back to his home state. 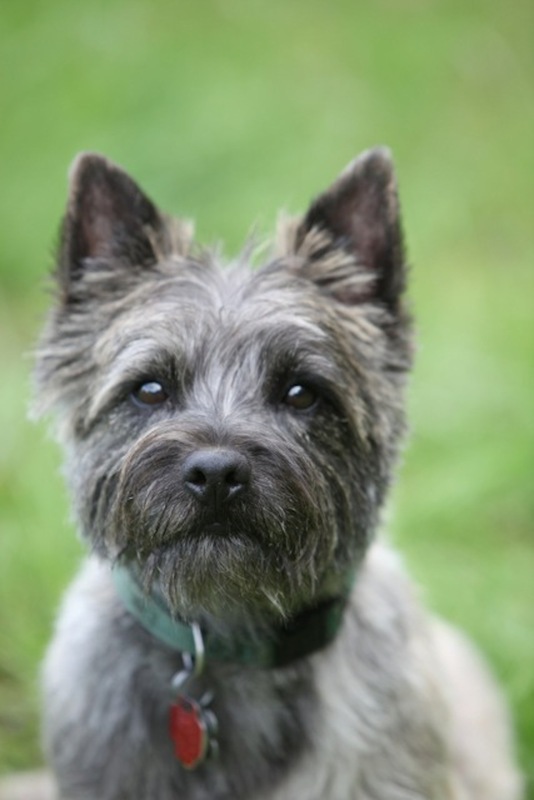 Dorothy’s dog, Toto, is portrayed by native Arkansas pup, Nigel — a six-year-old Cairn terrier, the same breed as the original Toto (whose name was Terry) in the 1939 film. Additionally, this production stars Danielle Wade as Dorothy, who was chosen by the Canadian public through the reality show Over the Rainbow. This energetic production features exciting special effects, extravagant sets and intricate costumes. 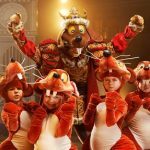 Content is suitable for children—all ages can truly enjoy this production. HOW TO ENTER: If you’d love to win these 4 tickets to see the The Wizard of Oz, just click on the word “comment” below and tell us your favorite scene from the show. Is it when Dorothy first meets the Tin Man? Maybe you love the part where Glenda appears? We’re still a little scared of the flying monkeys, we have to admit. INCREASE YOUR ODDS OF WINNING: If you’d like to increase your odds of winning these great tickets, just share! Email friends and family about the giveaway and CC us so we’ll be sure to give you credit. We’ll give you an extra chance to win for each person you tell. The email is giveaways@nwaMotherlode.com. 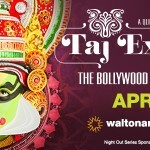 TICKET INFO: Click HERE or call the Walton Arts Center Box Office at 479-443-5600 for more info on tickets to the show. This is definitely a “must see” show so don’t miss it! Mamas on Magic 107.9: Green week! My favorite scene is when all the munchkins are coming out of hiding after Dorothy’s house lands and Glenda is singing “Come Out, Come Out.” Fingers crossed! My kids are asking to see this. 🙂 I follow you on Pinterest and Twitter, will comment on FB and get your newsletter. my favorite scene is at the end and the gifts are bestowed on the tin man and cowardly lion and the strawman. they realize they already had them inside them the whole time. My favorite part is when she sings Over the Rainbow! I follow on Pinterest. My favorite part of the movie was when Dorothy got home and realized how important her family was. I follow on Twitter and Instagram. Also commented on FB. My favorite part is when she clicks her ruby red slippers and realizes “there’s no place like home”. The Flying monkeys of course! My favorite part in the movie is seeing the horse of a different color in the city of Oz! I follow you on twitter and Pinterest and will comment on the Facebook page too. Favorite scene is when the horse changes colors! My favorite scene is when Dorothy first lands in Oz, when the door opens to the colorful Muchinkinland. The tornado scene where everything spins around always makes me laugh. I love the scene when she lands in Oz and everything is in color! The lollipop guild! Actually the entire movie is my favorite of all time! I have passed that along to my daughter! Hope we win the tickets, she would be SO excited! I love the tornado scene! My favorite part of the movie that I really enjoyed as a child was when she clicked her ruby red slippers together to go home. I’d love to go see this performance! Also, I follow you on Twitter and I posted a comment on your FB page! I love it when they finally see the wizard and make their requests. Dorothy’s pals get what they need to believe in themselves. My favorite scene is when Dorothy meets the Cowardly lion! I love the scene when they go to the Wash and Brush Up Co. For their makeovers! The horse of a different color is so neat and that song is so much fun! This Kansas girl has always loved this beautiful story! I love the ending when she realizes that home IS the best !!! “There’s no place like home”…..
My daughter and I love the Wizard of Oz!!!!!!! My favorite scene is when they arrive in Oz with the horse of a different color – I love that part. My Favorite Scene is when Glenda the Good Witch comes on the scene and the Munchins start singing and dancing. I have always loved the part where Dorothy is just beginning her adventure and runs into the scarecrow. I follow you on facebook and hope we get to go to this! We love WAC. i think my fav part is the flying monkeys! it was so scarey as a child! I think my fave scene is the munchkin city. I can literally quote every line from the movie! To say I have a favorite part would be like asking me to pick my favorite child! I love the whole thing! I begged my mom for red sparkle shoes when I was little, but never was able to have a pair. We always made it a big deal when it was on TV once a year as I was growing up. Our whole family would watch it. When I got the VHS tape and could watch it any time I wanted, I thought I’d died and gone to heaven! One of my all time favorites for sure! My favorite part is after the house crashes and everything is in color. Then the Munchkins come out! I remember watching the Wizard of Oz every year on TV. Love it all! My favorite part is when Dorothy sings Somewhere Over the Rainbow! I follow on Facebook also. My favorite scene is when Dorothy meets Glenda and all the munchkins! My husband and girls can quote soooo many scenes from this movie! It’s def a family favorite! I love the song “Follow the Yellow Brick Road”. I love the part when they are at oz and getting their makeovers. I follow on Pinterest and get the weekly emails. I love the part where she meets the munchkins! I shared on facebook, instagram, twitter and pinterest. I love the part of the movie where she sings Somewhere over the Rainbow. My favorite scene from the Wizard of OZ is when the munchkins are all coming out after Dorothy lands in Munchkin Land❤ it’s just beautiful the way the movie goes brim black & white to such AMA ing vibrant color! Basically the whole movie brings wonderful memories to me. It was always shown on TV only once a year around Thanksgiving. I remember sitting with my cousins watching this special movie after we had just shared a sumptuous meal together . Just try and stay out of my way. Just try! I’ll get you, my pretty, and your little dog, too! I love it when they all decide to work together because of their unique tallents. It’s amazing how God gifts us each with tallents that compliment each other. I love when the Wicked Witch melts! I always loved the part where Glenda made it snow to wake them after the poisoned poppies. My girls and I love when Dorothy and her friends arrive at the Emerald City and get make-overs before visiting the wizard! I love it when Glenda appears! I always though she was so magical and pretty! My favorite is where Dorthy sings “Over the rainbow”. I follow on twitter and commented of Facebook page and follow on Pinterest. 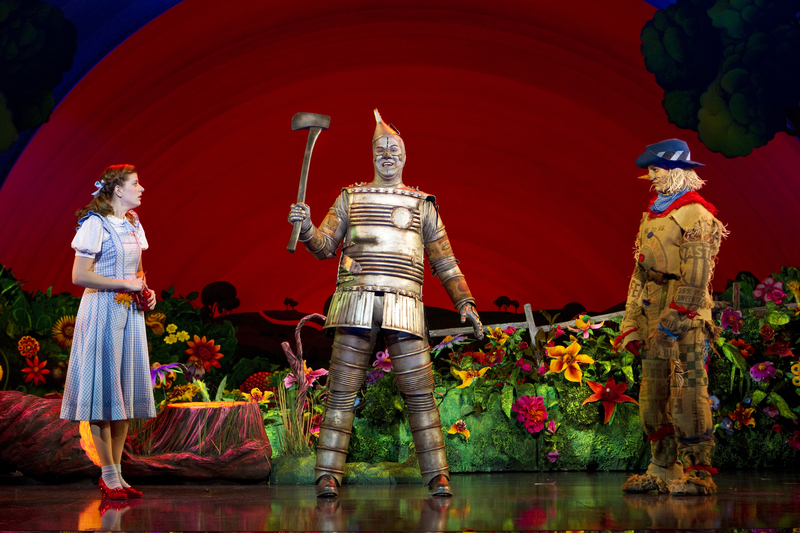 My favorite scene is when Dorothy and toto meet the tin man! My favorite part is when she opens the door of the house and is in munchkin land. I love that it goes from black and white to color such a powerful statement! My goodness! When everything changes to color is pretty powerful! My favorite part is when she is sucked up in the tornado and seeing everyone flying about outside. Be cool to see how they do that scene and other scenes on stage! My favorite part of Wizard of Oz is one that didn’t make it into the movie: The Jitterbug. That song and dance are so much fun! My favorite part is when Toto pulls the curtain back to reveal the wizard. Love this movie! I will always remember the first time I saw the Wizard of Oz, I was five and when Dorothy landed in Oz and the screen went from black and white to color it was pure magic. My favorite part is when the which is on her bicycle in the tornado…and that music that plays. Cracks me up. I love the theme of good triumphing over evil and so many other things about this movie. When she slaps the cowardly lion for threatening Toto. She was so brave. Also the beginning is black and white and it is so intense with tornado and then it goes to color and when I was a kid that was the most magical thing I had ever seen happen. I didn’t always like this movie, yes, the monkeys and the witch were pretty scary, but then my kids and I found it one day on Turner Classic Movies and they both enjoyed it and so did I, realizing that it is not as scary as I remembered. I will send an email and post on Facebook too. I like the part where she clicks her heels and says “there’s no place like home”. I have a little friend whose birthday is April 1st and I would love to win this so my husband & I could take her & another little friend to see this! when dorothy meets each of the friends on the journey to OZ…love all the different dances each character brings to the group. My favorite part is when Dorothy wakes up and is surrounded by Auntie Em and everyone that loves her! My favorite is when she throws the water on the wicked witch and she is no more. As a kid I was always scared to watch because I was so scared of that witch! I love this movie/play/book! I was even in the play in elementary. I played the tin man, and had to wear a trashcan! 🙂 I think my favorite scene of the movie is the scene where Dorothy first walks out the door into Munchkin Land. The first color in movies! How cool is that!? My favorite part of the Wizard of Oz’ is where she comes across the cowardly Lion! He tries to be so fearius! My favorite part is after Dorothy wakes up from her dream and tell everyone about it. My favorite part is the hot air balloon!! My favorite is the tornado part. My favorite part is when the tornado hits and you can see all the things in the tornado! The whole movie! The songs are wonderful and I love munchkin land!!! My favorite part is when she lands in Oz and it goes from black and white to color! “Toto, I have a feeling we are not in Kansas anymore”. I just watched the movie with my girls (their first time) this weekend! My favorite scene has always been the final one when she’s realizing her friends were people in Oz. I love the whole movie so much but my favorite part is when all the munchkins come out to sing, and then send Dorothy on her way of following the yellow brick road! My favorite part is beginning to sing follow the yellow brick road. Love the Munchkins! Love the scene where they arrive in Oz, everything goes to color, and the munchkins and Glenda come out! I love Glenda and the munchkins! Would love to take my littles to see this! My favorite scene was when the munchicans were singng and dancing. There is no way I can pick just one favorite part. This is one of my all time favorite movies. I’ve been obsessed with Wizard of Oz since I was a little girl. I was Dorothy for Halloween, I had ruby red slippers, and I was in my local theaters production of Wizard of Oz. My husband won’t take me to this unless we won tickets to this would mean the world to me!! I also follow you on twitter at Sturges522 and Pinterest at SaraBelle522 and I commented on Facebook Sara Elizabeth Sturges. I also get your newsletter. Going to email others now! Mu favorite part is when they make it to Oz and get pampered and ride in the carriage with the color changing horse! I also signed up for the newsletter with my other email account and posted the link on my Facebook page. So many favorite scenes, but I suppose my favorite would have to be when suddenly Munchkin land turned into color and revealed the Munchkins–a break-through in cinema history. I love the scene of Dorothy singing Somewhere Over the Rainbow! I also commented on Facebook, follow you on twitter and Pinterest! I love the flying monkeys! I love when she wakes up and is so relieved to see everyone! I love them going down the yellow brick road…that song just replays in my mind! Liking on FB and pinterest. when Dorothy says we’re not in Kansas anymore . My favorite scene is when Dorothy meets the Scarecrow. I just have a tender spot in my heart for him and he’s endearing to me. I have a 9 month old daughter so I’m excited to share this movie with her and buy her some ruby slippers! Hoping to win!!! Hard to pick a favorite! I always loved the moment of changing over to a world of color and the cowardly lion! I follow you on Facebook as myself and 2 other feeding and speech support pages as well as twitter through Nwa Therapy tree! For sure to check out your pinterest page!! I love the scene when they make it to oz and meet all the people who live there . The Horse of a Different Color, it pretty much had me in awe when I was a kid…OK it still does. I was obsessed with this movie growing up! I learned everything about each character and the behind the scenes/making of the movie…obsessed! My favorite scene is when she lands in Munchkin Land. 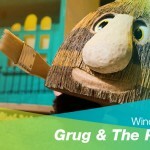 The vibrant colors, fun songs and of course, the munchkins! My favorite scene is when Dorothy is in munchkin land with Glinda (good witch) and starts her journey down the yellow brick road. I have always watched every year as a child the Wizard of Oz came on TV and is my favorite classic ever. My daughter and I love watching it together and would love to take her! This has and always will be my favorite movie. I do not think I can pick out a favorite part, because I Love the whole movie. I shared on Facebook and follow on pinterest. This would be so awesome to win!! My favorite scene in The Wizard of Oz is when Glenda arrives. She’s cheerful, positive, kind, helpful, and encouraging. She makes me smile! When the tin man, Dorothy, and the cowardly lion sing and skip along . If u only had a brain…. “I’ll get you my pretty… AND YOUR LITTLE DOG, too!!! !” Actually back in the day when we had landline phones in our home, and answering machines (what?!) I bought a package that included that line so when people called it would say that line…. Also I follow on twitter, pinterest and facebook…. When she arrives safely back home… There’s no pace like home! I love the the lollipop kids song. Always cracks me up. My favorite part of The Wizard of Oz is when Dorothy sings Somewhere Over theRainbow. Best song in the show! I love the munchkins. So much fun when they all come out!! I love when she meets the wizard and sees behind the curtain! Nothing to believe in at this point but yourselves and God! She makes it just fine! When they finally make it to Oz! My favorite part is when she’s in Munchkin Land and meets Glenda and the munchkins. We would LOVE to win tickets to this show!! Love this movie and would love to see the show! Since the entire movie is great, it’s hard to choose, but when she sings somewhere over the rainbow and when she lands and the munchkins sing, welcoming her to munchkin land. Talking apple trees is my favorite! Apple trees chucking the apples!! “Somewhere over the rainbow…” Sounds better when she sings it, LOVE IT!!!!!! When Dorothy melts the wicked witch! I love “Over the Rainbow” and the lollipop guild! My favorite scene is when Dorthy ask the scarecrow how he talks without a brain, and the scarecrow says, “Some people without brains do an awful lot of talking, don’t you think?” And she replies, “I guess you’re right.” Too funny! Where the wicked witches shoes are sticking out from under the house. Classic! I love when the wicked witch melts. Even as a young girl, I liked it when evil lost and good wins. My favorite part is when Dorothy arrives in Oz, and the movie transitions from black and white to beautiful and magical color. Love it even now as an adult. We’d all LOVE to see the show! When the Cowardly Lion says, “Somebody pulled my tail…!” And the Scarecrows says, “Oh – You pulled YOUR OWN TAIL! !” That lion just cracks me up! My favorite part is when she wakes up and all her family and friends are there with her. It’s the sweetest moment! My favorite part is when Dorothy throws the water on the wicked witch and she melts! My favorite scene (in the movie) is when the black and white reveals into color as they go into Oz. It’s one of the most magical moments in Film that I can remember. 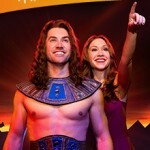 Being a theatre geek, I would LOVE to get a chance to see this show! I hope I am chosen! I love when the Wicked Witch gets water thrown on her and starts melting. My favorite part was when they get to the Emerald City and they all get there make overs. I love the part when the movie changes from black & white to Technicolor! My favorite part is when they realize the wizard is a regular man behind a curtain. And the gifts he gives them are silly but “wonderful”! I have always loved this movie and my kids do too! I’d live to take them to see it live! I follow you! My daughter just read the book and watched the original movie in school and is now a huge fan! She would love to go to this! she says her favorite part is when she kills the witch! I have to say that I love the flying monkeys. Just love them.